The Executive Director of Medica Kosova Mrs. Veprore Shehu held a meeting with Major General of KFOR, Salvatore Cuoci to talk about the various possibilities of cooperation with the KFOR mission in Kosovo. Major General Cuoci is willing to provide technical and logistic support in the development of various initiatives aiming at improving the situation of women survivors of sexual violence. 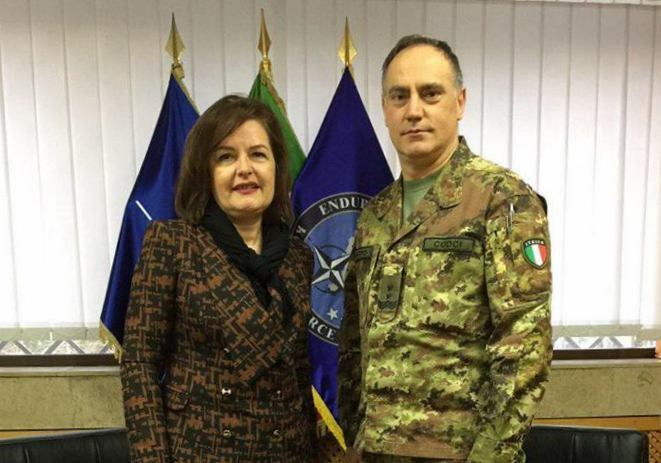 Medica Kosova appreciates readiness of Major General Salvatore Cuoci to cooperate with the organization for the benefit of women who are actually receiving rehabilitation services in the center.